Future prospects of publishing Nintendo titles "very slim"
With Nintendo of America's announcement that it had no plans to release Xenoblade Chronicles or The Last Story coupled with their recent emphasis on bringing more third parties to the table, some hoped that the Big N would allow a smaller Western publisher to do the honours and thus end their long-standing reluctance to allow other companies to publish their titles in territories where they did not plan to do so themselves. 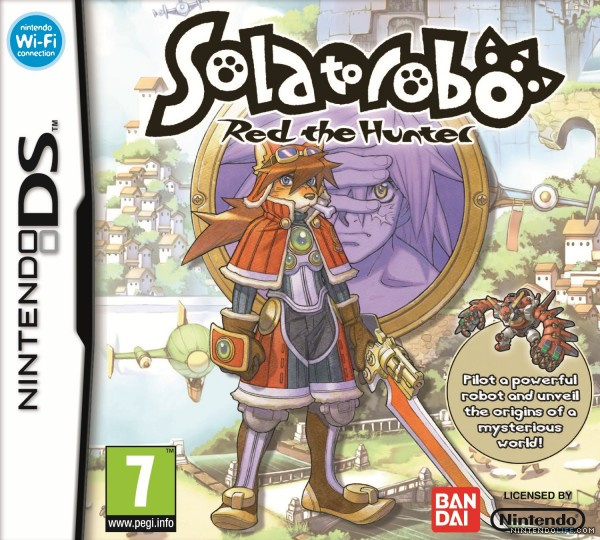 XSEED seemed a likely candidate – while NOE is releasing the Namco Bandai title Solatorobo: Red the Hunter in PAL territories, XSEED is doing the honours in North America. No, actually. Everything, all of our communication, is done directly with Namco Bandai of Japan. Yeah, we’ve never licensed a title from Nintendo before, so I would think the prospects of that happening would be very slim. This is a title the developer, CyberConnect2, are super passionate about and they really wanted to see it released in the U.S. and they worked with us to make it happen. As long this game comes over here, I don't care. But I would like to see Pandora's Tower coming over here. Yeah, it was a Namco Bandai game, which XSEED has previous relations with, not a Nintendo game. Not really surprised in the least by this news. Well I sort of figured that the Wii RPGs wouldn't be sent to a smaller publisher. Especially considering that NOA patented the domain rights for them. As long as it gets to the US it's fine by me. anyway, this game has furries so it´s a no buy. I still think talking to any Nintendo branch is like talking to the Mob. @ecco6t9 Is there a basis for this train of though? Nintendo did a terrible job in Europe, sadly! It's nowhere available! Luckily I finally could order it at a specialized game shop. If I am lucky, they have it in a few days. It would probably be my last hope! Listen XSeed; don't feel like you need to save the day, step in and pick up Xenoblade for us. Would it be awesome? Hell yes:) But you're a small company, you release uber-niche titles, and you've done enough. You gave us Fragile Dreams — one of my favorite games from last year. And you're given us Tail Concerto 2 here; which I'm sure will be one of my favorite games of 2011. That's enough; you guys are already my heroes. I also picked up Ys 7 from Amazon since all your FALCOM PSP games were a Lightning Deal one day two weeks ago. And I blew off my PSP months ago. I love XSeed. But don't kill yourselves chasing big-budget games that won't make you money back. We don't want you to kill yourselves. You're an awesome RPG publisher; like Atlus, you're carrying the torch for Working Designs. You gotta keep making moves like this. But moves like swooping in to fix NOA's folly; you don't need, and you don't need to tell us that. expa0 : remeber the nineties ! This game is made as an hommage to this period, and it shows ! @Vinsanity: Are you insulting them while asking a favor? Imma do mine a little different. Isn't Xenoblade developed by Monolith? And Last Story by Mistwalker? So... what stops XSeed et. al. from localizing this? Nothing's stopped them from releasing other titles before. As previously said, bring out a few, we'll swoop them up day one, so be it, but for crying out loud, there is a DEMAND, who wants to meet it with some SUPPLY here? To be a furry, you have to think you're animal trapped inside a human body. There is only one furry in this game. I want to import Solatorobo to South Africa. I normally buy from Zavvi, but they don't have this at the moment, I've looked around but can't find it anywhere. Anyone have any ideas? It is decisions and deals like this that is going to fuel my selling of my 3ds. I just don't like where Nintendo's business principles are today. I have principles too. If you don't stand for something, you'll fall for everything... that seems to be what Nintendo wants. I know I'm not alone with disappointment in Nintendo these days.As it is, it's been returned 3 times alreadyto Nintendos repair people for repairs from manufactuerer defects they deny exist...like the hinge scenario of DS lite. Thanks XSEED for doing this.